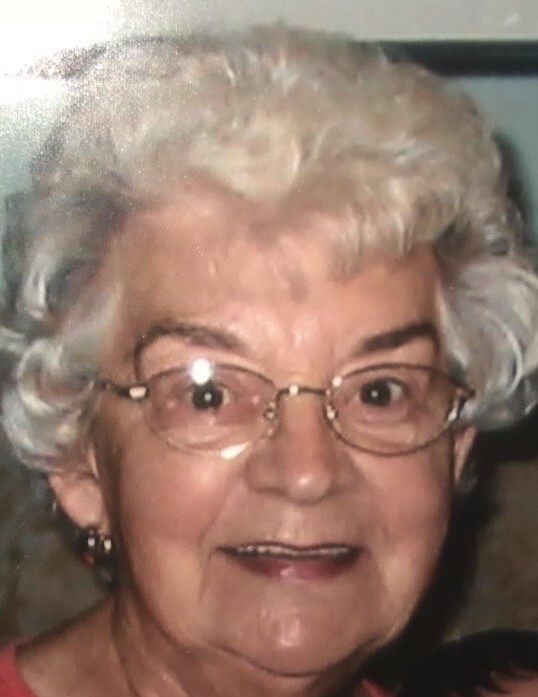 Medora ' Dora' Guerrette, 97 of Largo, FL and Union Springs passed away peacefully Friday August 24,2018 in Florida. She was born in Brunswick, Maine the daughter of the late Leonard and Marianne Gagne . ' Dora' as she was affectionately known by her family and friends , resided in Maine in her earlier years and most of her life in the Auburn area. Dora was employed by the former Singer Climate Control in Auburn. She also volunteered for Meals on Wheels and the Frontenac Historical Society & Museum for many years. She was a very devout catholic and longtime communicant of both St. Michael's Church in Union Springs and St. Mary’s in Auburn. Dora cherished the many special occasions spent with her family and her countless recipes will continue to live on through her children, grandchildren and great- grandchildren. Dora was also a very skilled knitter and crocheted several quilts, afghans and numerous other items for family and friends. She also spent many years as a hairdresser on Wood Street in Auburn at the family home. If you or your loved one had a birthday or special occasion, you could rely on Grandma Dora to always remember to give you a call . She was a very classy, well spoken, impeccably dressed French woman that never looked her age. If one word could best describe, Medora it would be ' graceful' . She will be forever missed. She is survived by her six children, three daughters Martha Barry of Fla., Priscilla Carmody of Marcellus , Lucille ( Carl) Widman of Fla., three sons Bert ( Joan) Guerrette of Skaneateles, Patrick ( Diane) Guerrette of Union Springs, Edward (Lisa) Guerrette of Venice Center, 18 grandchildren, numerous great- grandchildren as well as several nieces, nephews and cousins. In addition to her parents, Dora was predeceased by three sisters , two brothers and son-in-law Michael Barry. Arrangements by Pettigrass Funeral Home .